Vallejo Plumbers has a deep heritage of cleaning drains. The many years of experience is what makes us experts in our field. Like Roto-Rooter, we utilize drain cleaning machines that have sharp blades to slice through dirt and grime to create a constant flow of clean water. With many happy customers, we believe that we clean more sewer lines and residential drains that any other company in Vallejo and Solano County. We stand by affordable, friendly, and quality service backed by decades of experience. Simply put, we will work tenaciously to unclog your drain and consult with you on which products to use to keep your drains flowing clog-free! We are true professionals at rectifying all kinds of drains and sewer lines, from residential to commercial properties, particularly when it comes to cleaning your kitchen drains! Picture this: after months and months of putting food and other debris down your kitchen drain, they eventually clog up. This is completely normal. Waste builds up on the inner walls of your piping and makes it hard for water to pass through. Luckily you have our plumbing technicians to count on and solve all your drain problems! In fact, a large part of our team specializes in kitchen plumbing services. The next time you experience a clogged drain in your kitchen sink, call us at (707) 310-8301 and we'll be there in no time at all. Outdoor drain cleaning. Downspout drains are useful for directing water from roof gutters to the perimeter of your home and beyond. This way, the foundation of your home stays safe. Downspouts are usually connected to the city's underground sewer system by plumbing pipes, which can also get backed up by dirt, leaves, moss, and other debris. For this reason, Vallejo Plumbers provides industrial plumbing services that unclog downspouts and rid them of blockages. This allows our city's underground pipes to function properly, mitigate risk of dangerous floods, and restore open channels around the communities sewer system. Bathroom drain cleaning. 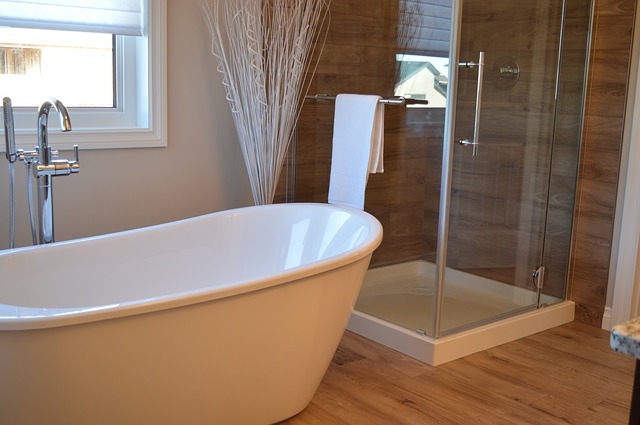 From master bathroom showers to luxury jacuzzis clogged with long hair and grime to sink drains filled with leftover toothpaste, bathrooms are their own beast to tackle. Clogged drains can result in bad odors, which no one likes to smell! Additionally, many people flush floss, baby wipes, and other things down the toilet to make it clog up. It this happens, we have the necessary tools and expertise to reverse the mistake. And as long as you learn from it, you won't have to call us as much, which saves you money in the long run. Either way, we are always here to answer your questions, comments, or concerns regarding drain cleaning for your bathroom. Garage/ laundry/ utility room drain cleaning. Floor drains are typical in garages, laundry rooms, and basements, and you may even have one on your patio or driveway. These drains are made with a trap that should be maintained with enough water to eliminate odors and prevent sewer gas from getting out. Dirt, grime and other types of build up can clog floor drains over time, but our Vallejo, California plumbing contractors can clear them out to promptly restore good drainage. Your friends at Vallejo Plumbers hope this page was educational and informative for all your drain cleaning needs, to say the least. If you have any other questions or would like to schedule a drain cleaning service, please contact us at your convenience. We look forward to helping you with all your plumbing needs!